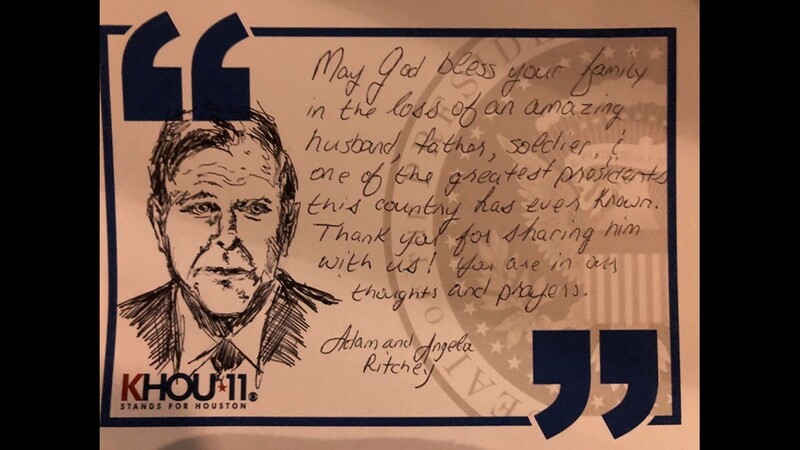 KHOU 11 just received a thoughtful note from George W. Bush that we want to share with all of you. 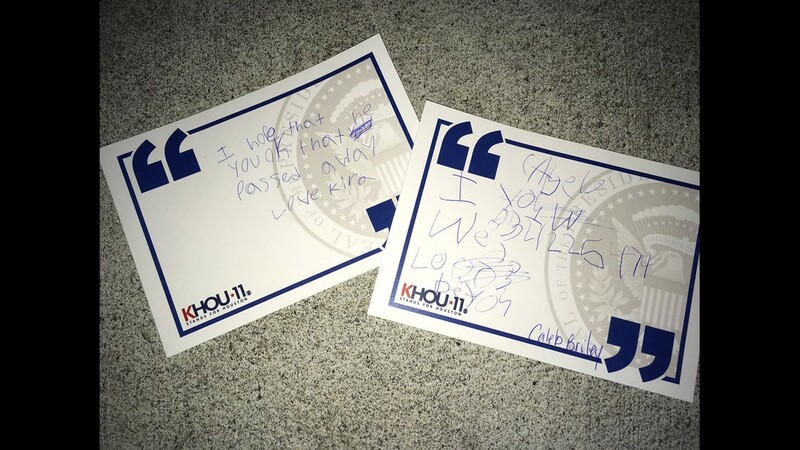 HOUSTON — If you signed one of our KHOU 11 cards in honor of President George H.W. Bush, we have a special message for you. 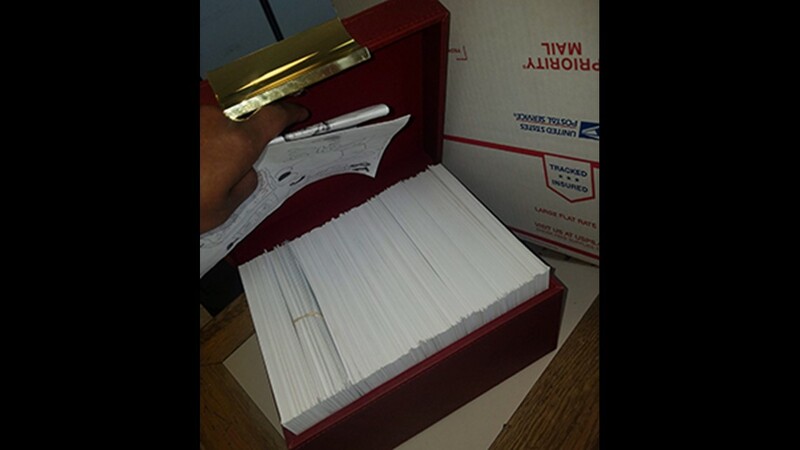 Bush 43 sent us a thank you note to pass along to all of you. 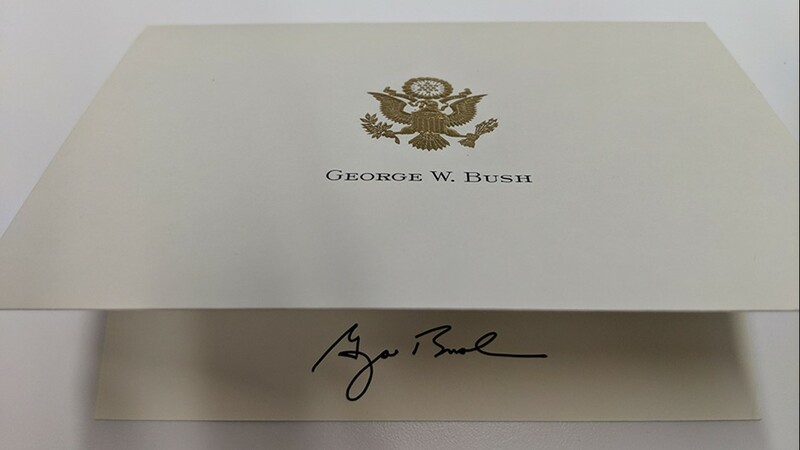 We collected close to 2,000 cards after President Bush passed away in November, and sent them to the family in a special box. 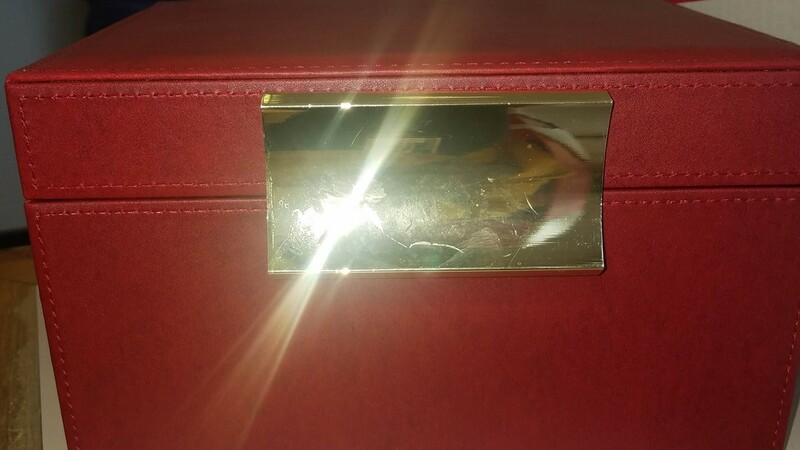 If you signed one of our KHOU 11 cards in honor of President George H.W. Bush, we have this special message for you.